Tutti Designs: Fun Halloween Folio! Hello there!! 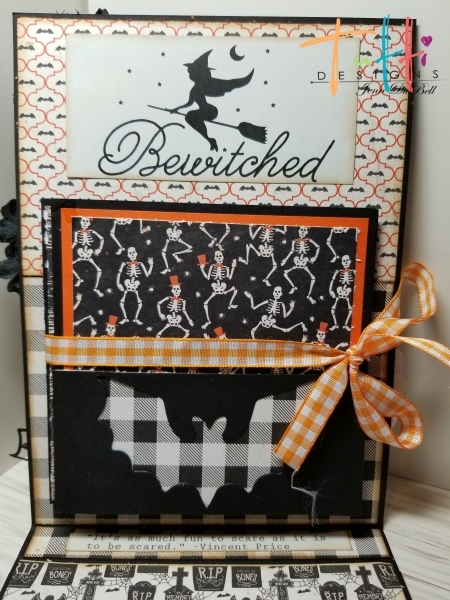 Jenn here with a super cute and fun Halloween folio using the new Scrolly Bat die from Tutti Designs!! For this project I used the newly released Scrolly Bat Die! I used it in two ways! I just love Halloween, the costumes, the fun, the whimsy! The newly released dies over at Tutti Designs are so amazing and detailed. Just what you need for adorning all of your Halloween and Christmas cards! July 2018 Release collection here! For my fun folio project I followed a YouTube tutorial for the base. This tutorial was created by one of my favorite designers, Kathy Clement! You can find the tutorial and many others here. For details and a page by page view of my folio, I have added a Snapguide below. The supply list is also found there. 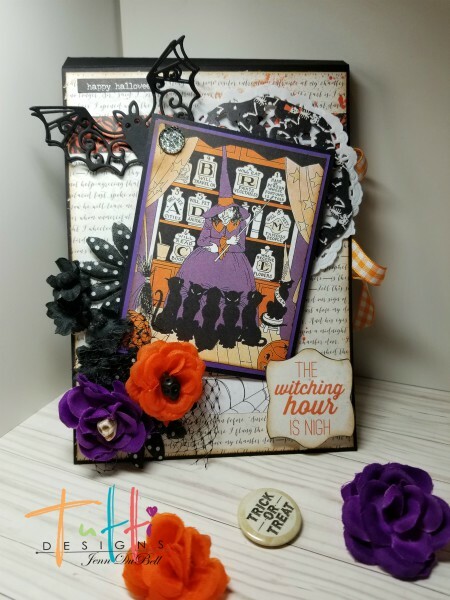 Check out How to Create a Fun Halloween Folio! by Jenn Gary DuBell on Snapguide. Thanks So much for viewing my post today!! Super cute Halloween folio! Great for photos! WOW this is awesome Jenn ... thanks for all the details! I struggle with Halloween type cards (guess I'm getting too old lol) Great job! That is just brilliant Jenn! !